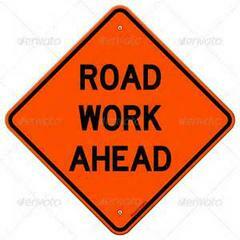 Your patience on the following road work is greatly appreciated. Paving will be completed in stages. •	Eastbound Mission Road may be closed in its entirety between 5th and Garfield from 7am with an appropriate detour plan and signage. At minimum, one lane of traffic shall remain open in the westbound direction. •	At 11:30 am Westbound Mission Road may be closed in its entirety between 5th and Garfield with an appropriate detour plan and signage once the eastbound portion has been paved and at least one lane of traffic reestablished in the eastbound direction. •	All lanes will be reopened to traffic at the end of the day.